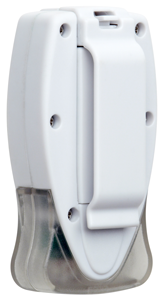 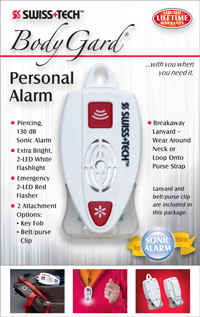 Small and powerful, the BODYGARD® Personal Alarm offers both safety and convenience in an attractive design. 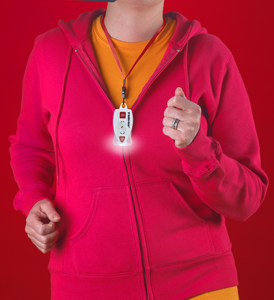 The piercing sonic alarm wards off potential danger and the super bright red emergency flasher increases visibility while walking, jogging or simply signaling for help. 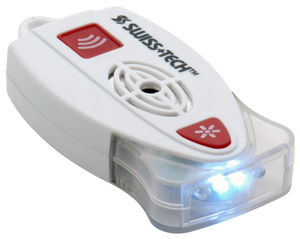 Two white, bright LEDs light up walkways at night. 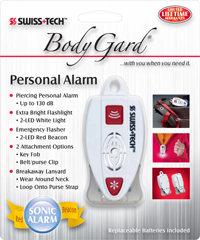 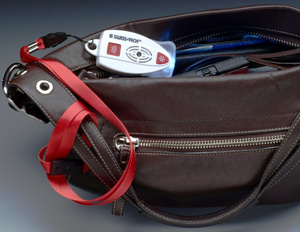 Whether clipped to a belt of purse or worn around the neck, the BODYGARD® Personal Alarm is a great device to always have on hand.